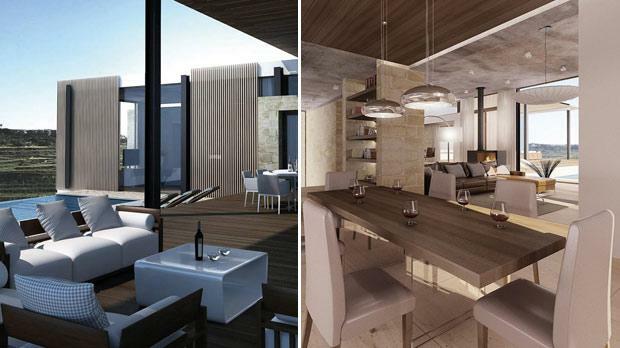 Fulani Properties Ltd has embarked on a luxurious project – an estate nestled in the serene and tranquil surroundings of the Maltese countryside that delivers contemporary luxury and comfort. Villa Rosa Mundi is a unique real estate concept that tastefully unites rustic Maltese style with contemporary design that draws inspiration from traditional Maltese house characteristics. Function is also given prominence in a carefully thought-out design process to develop a ‘practical palatial residence’. The design aims not only to astound visitors but is also extremely functional for the most discerning owner. This country home provides the needed respite from congestion and an overbuilt environment. If the tranquillity of untouched Maltese garigue is not enough, the owner can take a dip in the large infinity pool and deck area nearby, situated perfectly to enjoy the natural surroundings. The project, set on 13,000m2 of land on the idyllic heights of Wardija, is nothing short of what most would consider the ideal dream house for the architectural connoisseur. For more information call Fulani Properties Ltd on 7947 8478, or e-mail Mathieu Cilia on mcilia@famalco.net.